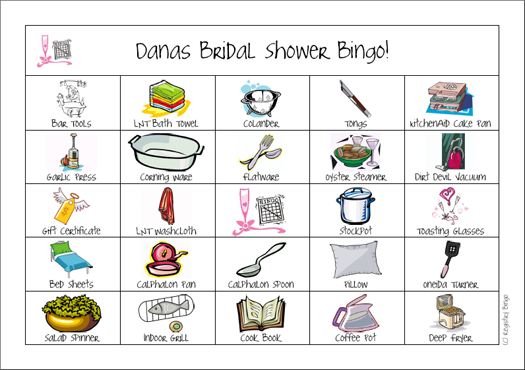 Registry Bingo: Hi! I'm Anna! So, my toddler was asked over by his grandparents this afternoon, and I'm bouncing around my house like a chicken with it's head cut off....what to do for two hours?!?!? But, THEN I got a text from them...he fell asleep (and these days, sans binky, naps are hard to come by)...so now I've got maybe 4 hours to myself?!!! Yahoo! Our wedding anniversary is this weekend, so I scooted to the mall and found something delightful to unwrap at a five-year anniversary dinner for my spouse...then went grocery shopping. That's when I got the "He's asleep" text! So directly home I drove to unload the groceries, and eat leftover delivery pizza by myself in front of some housewives show, (oh, come on...you know what I'm talking about). Then I was stuck, like two seconds-ago-stuck! 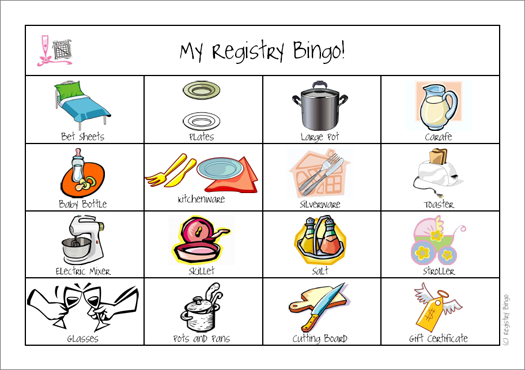 Do I blog for registry bingo or wash the veggies and put them away, a tedious, but cleansing ritual. I washed the veggies counting on another hour toddler-free to blog something interesting and cool here! 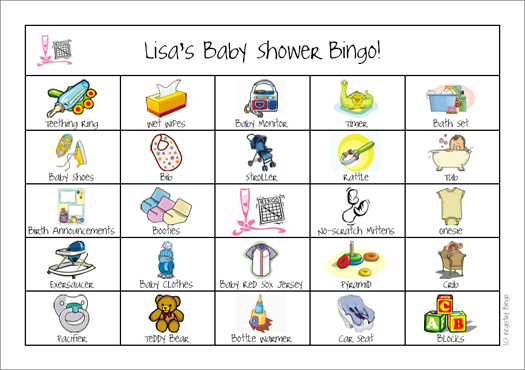 Lisa, a dear friend, and wife to my brother's BEST-MAN has asked me to support and help her brilliant home business, REGISTRYBINGO.com. Last night, after a long day at work for her and me (you KNOW staying at home is a looong day at work), we sat down over pizza with spouses watching our 2 year olds to teach me the ropes. One thing I knew NOTHING about was Twitter. I've never sent a tweet, or looked at Twitter. And one thing that stands out from last night's lesson is the helpful tips and hints Twitter-People offer one another...especially my people, the creative and everything-organic-loving mothers out there! This brings me back to my earlier veggie washing. A TIP, if you will! 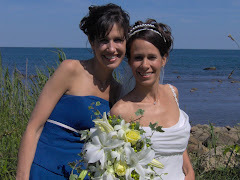 :) One of my favorite mom-friends (actually a really cool college roommate from NY who happened to have twins the second time they got pregnant...that means 3 under 5yrs...props), gives interesting and posh gifts ALWAYS! 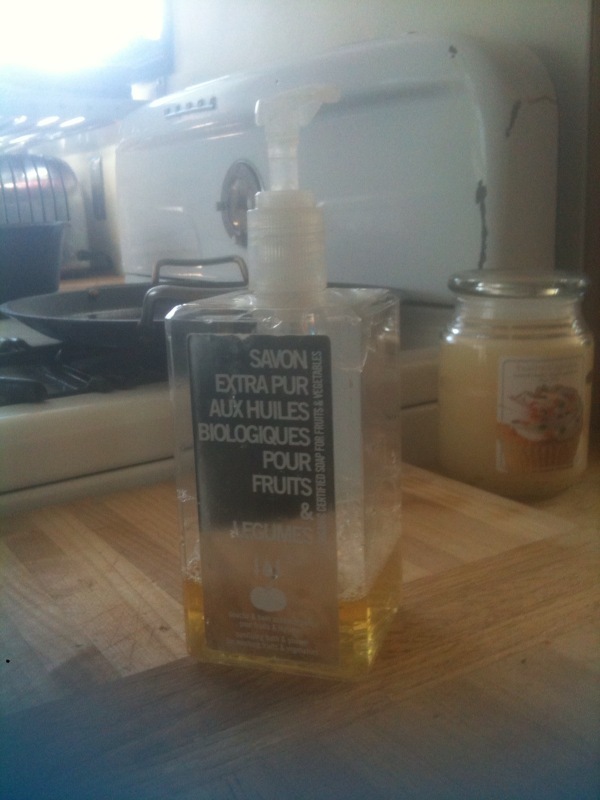 Katherine handed us a Veggie and Fruit soap that we still use three years later. It's a cool-looking bottle, but the point is that we're washing all the germy-germs from our produce, protecting our baby's food to the best of our American ability! Here's a photo via my iPhone...it's not the best quality, but you get the picture. More on babyshowers and baby games coming up! I've got my dear cousin's shower September 18th in Fallbrook, CA, and my sister-in-law's first baby shower in January. My cousin's shower is the first bingo game I'll play..can't wait...I already just love looking at the images...they're trendy pop art that's caught my eye forever!